When: Thursday, January 13, 2011 from 5 – 6p.m. Why: As part of Florida Theatrical Associations continued effort to cultivate theater audiences, cast members from the Broadway show Rock of Ages will be on hand to interact with and answer any and all questions regarding the show, life as a performer, etc. 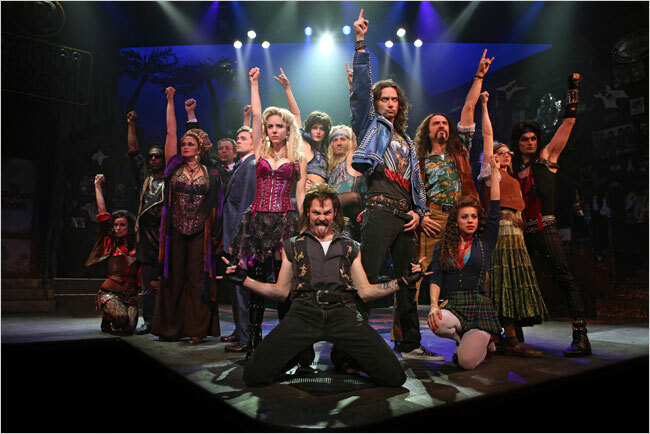 Rock of Ages is playing at Carr Performing Arts Centre January 11 – 16. Tickets for Rock of Ages start at $38.00. Tickets can be purchased at the Fairwinds Broadway Across America – Orlando Box Office (100 S. Eola Drive), Amway Arena Box Office and all Ticketmaster locations. Online purchases can be made at www.OrlandoBroadway.com. To charge-by-phone call 1-800-982-2787. Book a group and save by calling 407-704-6116. This entry was posted in Broadway, Orlando theater, Tours and tagged Bob Carr Performing Arts Centre, Rock of Ages. Bookmark the permalink.